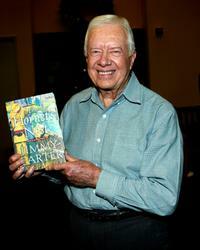 President Jimmy Carter in "Jimmy Carter Man From Plains." 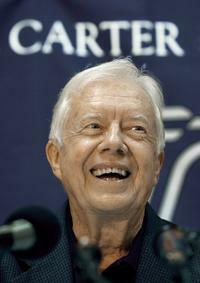 President Jimmy Carter and director Jonathan Demme in "Jimmy Carter Man From Plains." 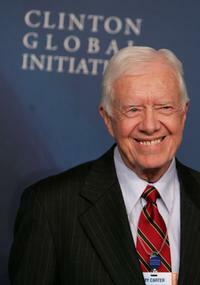 President Jimmy Carter at the opening night reception of "The Clinton Global Initiative." 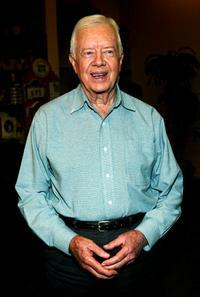 President Jimmy Carter at the press conference at a local hotel. 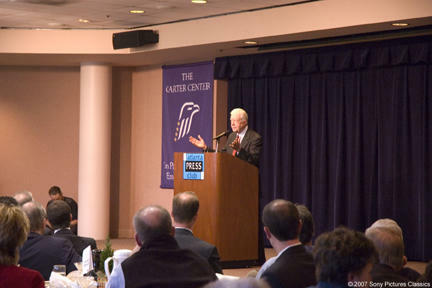 President Jimmy Carter, Chelsea Clinton and President Bill Clinton at the opening night reception of "The Clinton Global Initiative." 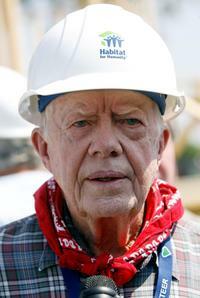 President Jimmy Carter at the "Habitat For Humanity Build 1000th Home" in New Orleans. 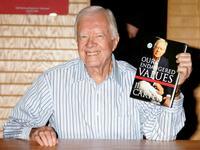 President Jimmy Carter at the booksigning for his new book "Our Endangered Values." 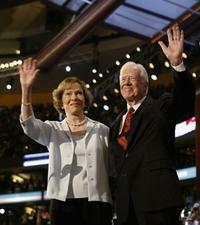 Rosalynn Carter and President Jimmy Carter at the Democratic National Convention. 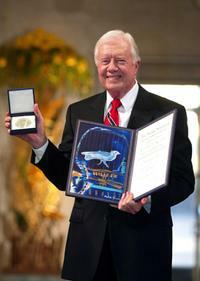 President Jimmy Carter at the 2002 Nobel Peace Prize Ceremony. 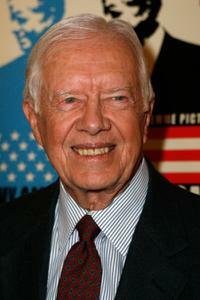 President Jimmy Carter at the premiere of "Man From Plains" during the 2007 Toronto International Film Festival. 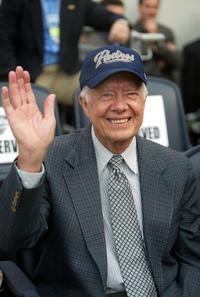 President Jimmy Carter at the San Francisco Giants and San Diego Padres game. 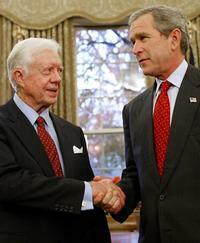 President Jimmy Carter and President George W. Bush at the White House in Washington. 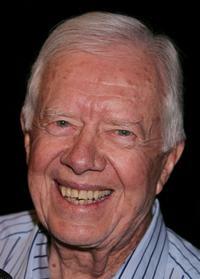 President Jimmy Carter at the promotion of his new book "Palestine: Peace not Apartheid." 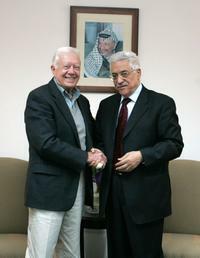 President Jimmy Carter and Mahmoud Abbas at the Muqata compound. 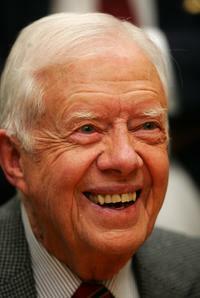 President Jimmy Carter at the signing for his new book "The Hornet's Nest." 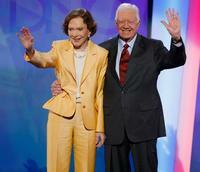 President Jimmy Carter and his wife Rosalynn at the Democratic National Convention. 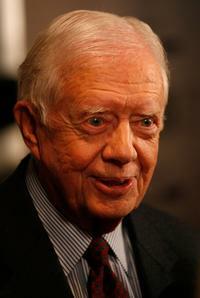 President Jimmy Carter at the Democratic National Convention. 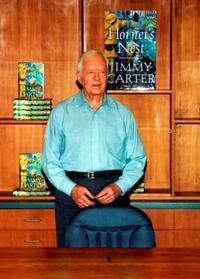 President Jimmy Carter at the booksigning for his new book "The Hornet's Nest." 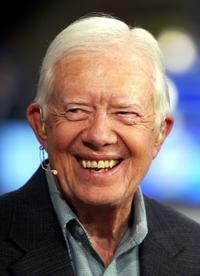 President Jimmy Carter and Prime Minister Ehud Olmert at the official visit to monitor elections in Jerusalem.